It’s time to start planning if you haven’t already! Especially for those of us who live in the Frozen North, winter is a time for maintenance, contemplation, planning, and studying maps. Perhaps also for making some campground reservations. 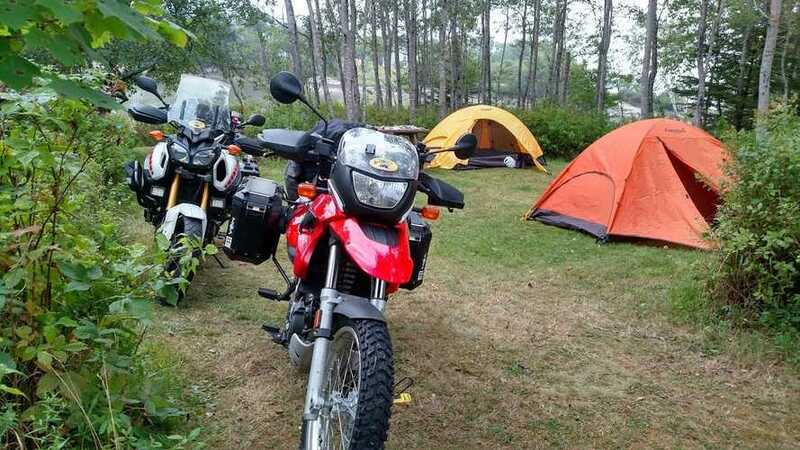 The biggest hurdle for many would-be motorcycle campers is a tent! You’ll need something to sleep in. And the primary aspect of any tent for a motorcycle camper will be: can I carry it on my motorcycle? Will it fit with all of the other stuff I have? If you have a six-person family tent that folds up to five feet long, the answer is probably no. You’ll want a dedicated moto camping tent. And while there are a ton of tents on the market these days that will fit your motorcycle too, they tend to be unnecessarily expensive, heavy and huge. Your bike can stand a night outside in the rain, I promise. Above: the Mier 3 Person tent, which comes with a footprint and a rain fly. Let’s think about how and where you’re going to be camping. Is there a chance you’ll be camping in the rain? Will it be windy and possibly chilly? Do you generally run cold or hot? You’ll want to consider how protective you want your tent and its rain fly to be. If you’re camping in the desert, the rain probably won’t be an issue but the nights definitely get chilly! In all areas, when you’re checking the weather, remember to note nighttime lows as well as daytime highs. 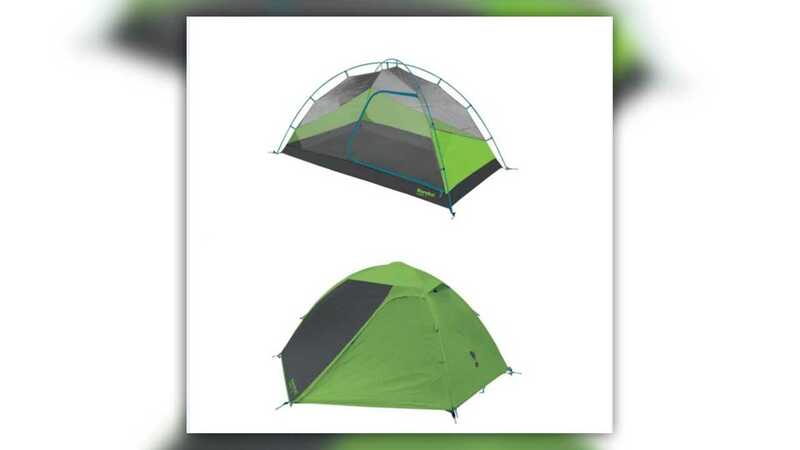 If there is a possibility of sideways rain, you’ll want to find a tent that has a full-height rain fly. Remember, a 4-season tent will be warmer but pack larger and heavier. 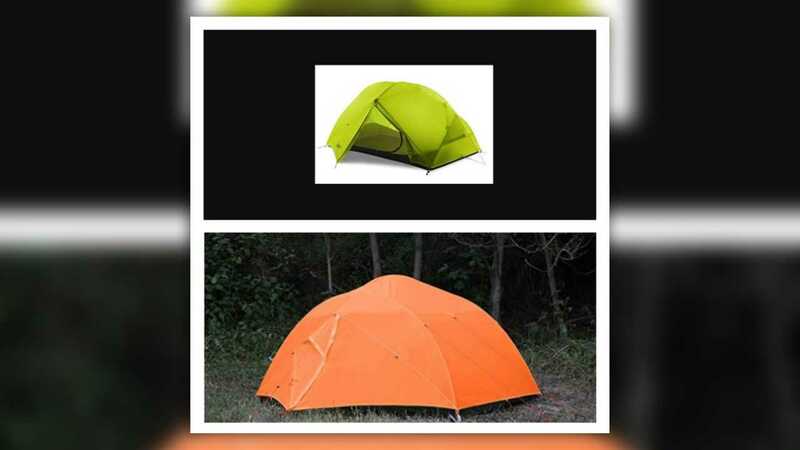 A dedicated backpacking tent will be lightweight and small but might be fragile. Everything is a tradeoff! Need a little warmth? This is the Eureka! 4-season tent with a rain fly, a great durable choice. Definitely consider your budget. 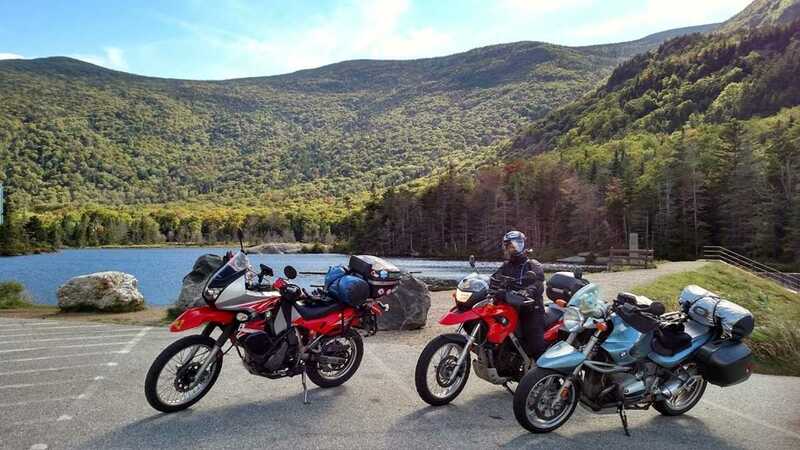 If you have a lot of motorcycle camping trips planned, though, it is a false economy to purchase a cheapo tent; you may wake up mid-rainstorm to find a lake in your tent, and riding on no sleep is seldom a fun time. 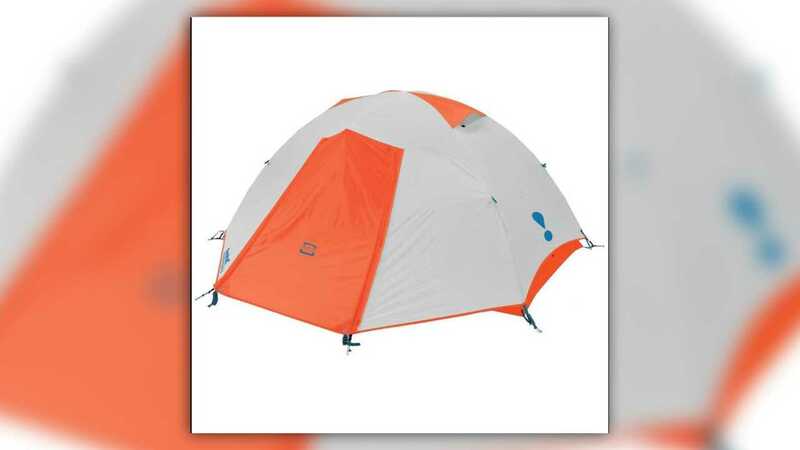 Find a good quality tent within your budget; online reviews make this process way easy. 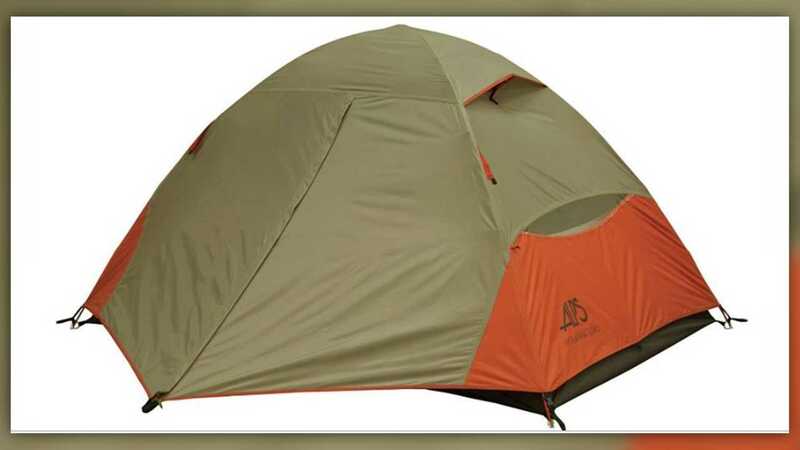 Here's the ALPS Mountaineering Lynx 2-person tent, that's less expensive, easy to set up and has a full rain fly. Also think about the company you will be keeping: are you traveling with someone who will share your tent? Tent sizes are measured in “people,” that is, the footprint of a single person laying down. If you traveling alone, your best bet is a 2-person tent. This way you will have room for yourself, and all of your gear. A one-person tent will fit you (and your sleeping bag/pad) and nothing else. Especially if there is a chance of rain, you will want to bring your motorcycle gear into the tent with you. Pulling on a wet helmet in the morning isn’t a great feeling. If you will have a companion in your tent, double the size to a four-person so that there is room for their stuff, too! If you run hot, the Eureka! Suma 2-person tent might be your perfect breezy camp companion. Will you be riding alone and rough camping? You might want to think about a camp hammock instead of a tent. Pros: they pack up REALLY small, you won’t have to worry about rocky ground, they keep you nice and cool, rain flys are available to keep you dry and some come with mesh covers to keep bugs away, and they pack up FAST. Cons: you might freeze on a chilly night, no matter what they say they are a single-person sleeping arrangement only, you will have no place other than your luggage to stash or protect your gear, and if there are no appropriate trees around, setting up a hammock can prove a challenge. The good news is, you can string a rope across the same trees above your hammock and throw a tarp over it, and voila! Instant rain fly! 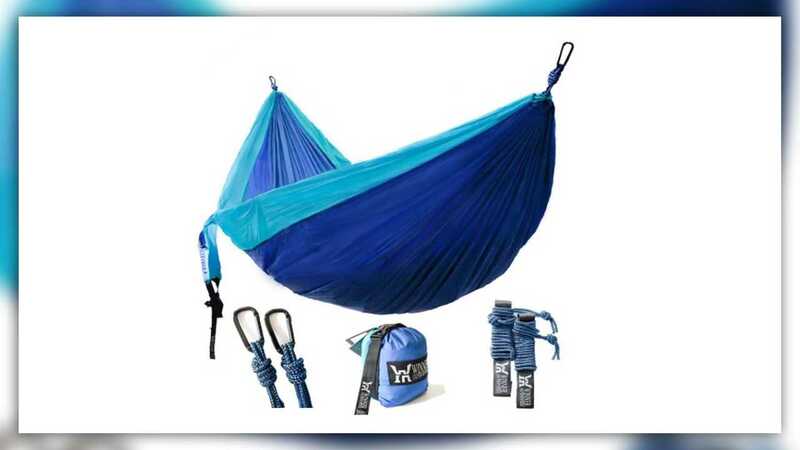 This simple but strong Winner Outfitters hammock will support 500lbs, but offers no environmental protection. 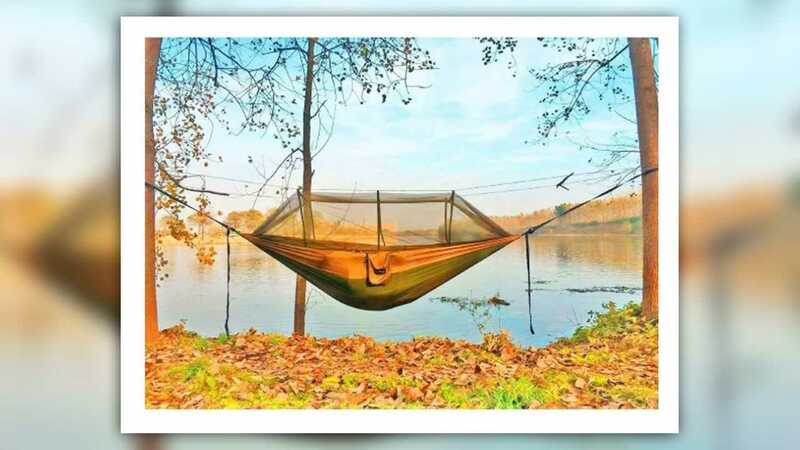 If it is buggy where you will be rough camping, you'll definitely want the Sunyear hammock with built-in insect mesh. Finally, how do you carry your tent on your bike? You’ll want to store it in a drybag in case you ride through rainstorms. If you cannot fit it in your luggage, Rok straps are a fantastic way to secure a tent to a motorcycle. 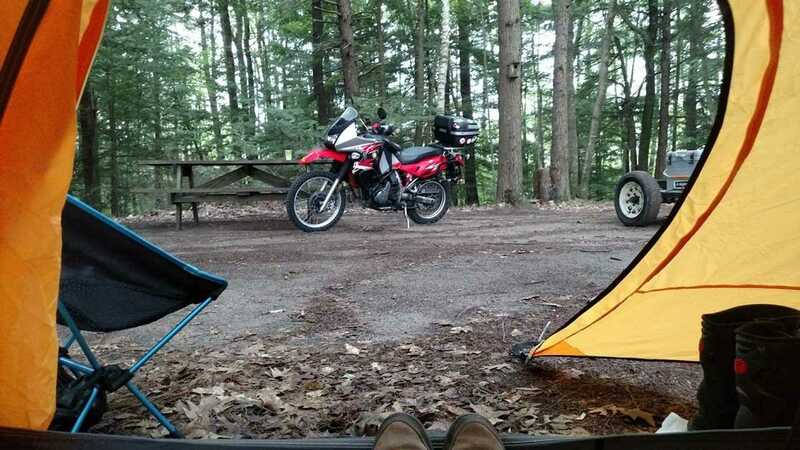 Keep an eye out for more on how to make the most of your motorcycle camping!